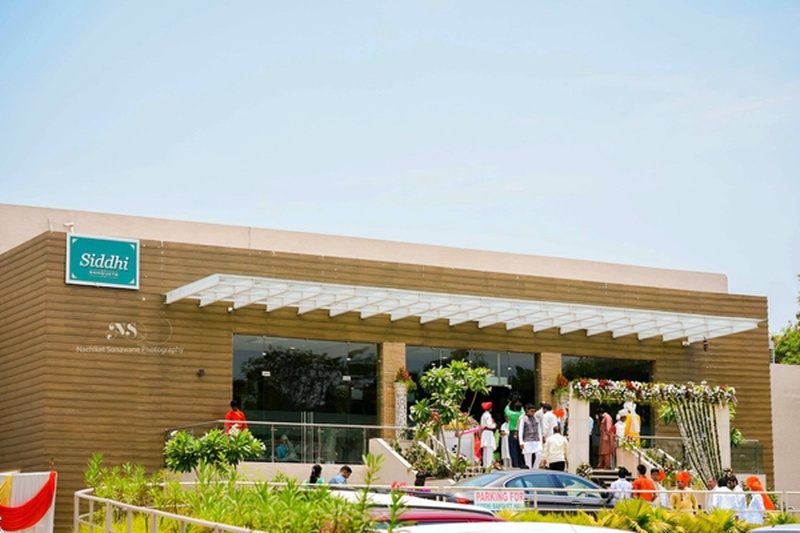 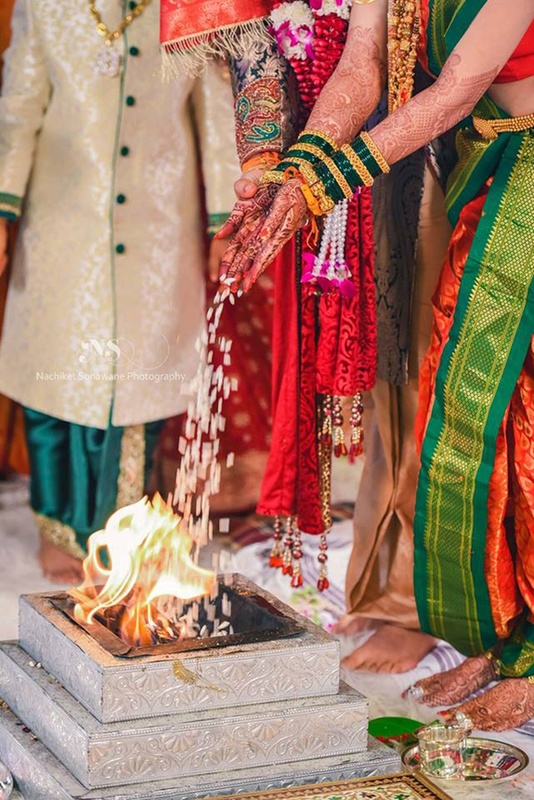 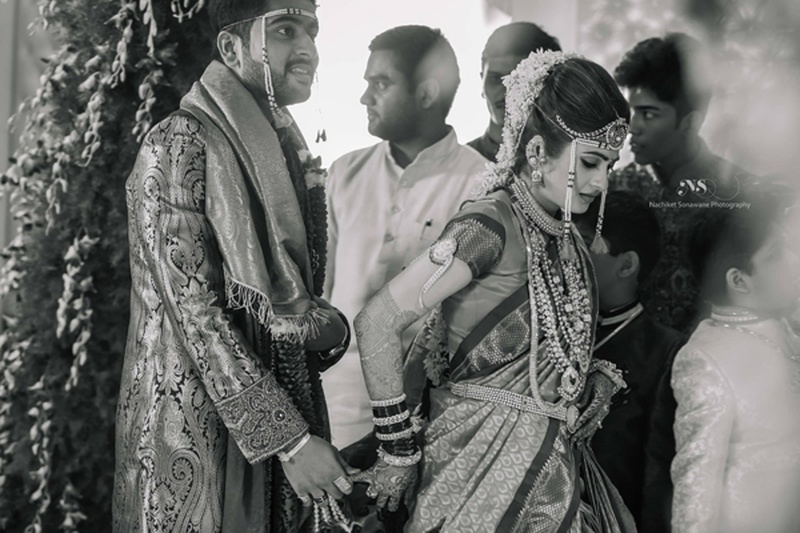 When traditions meet modernism, it translates into one big power-packed celebration of love! 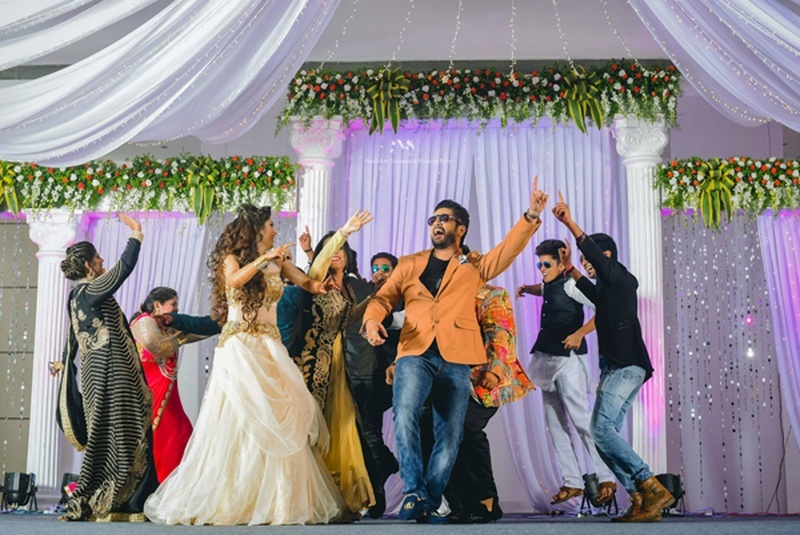 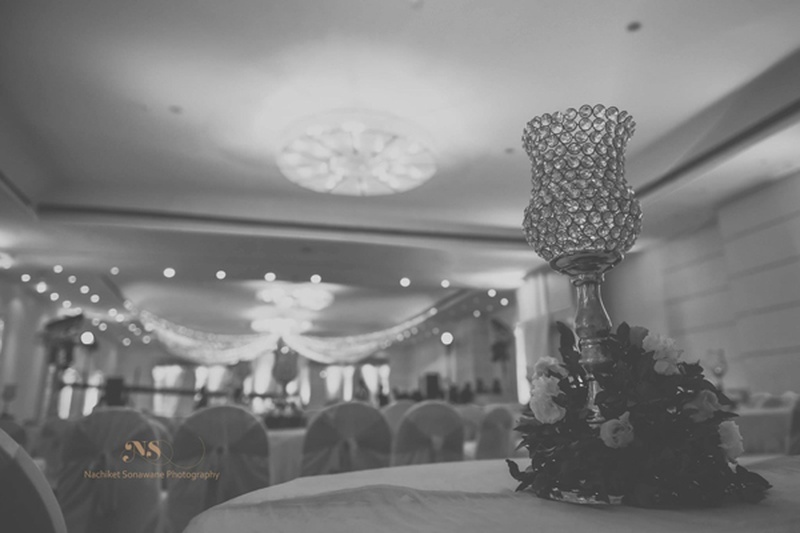 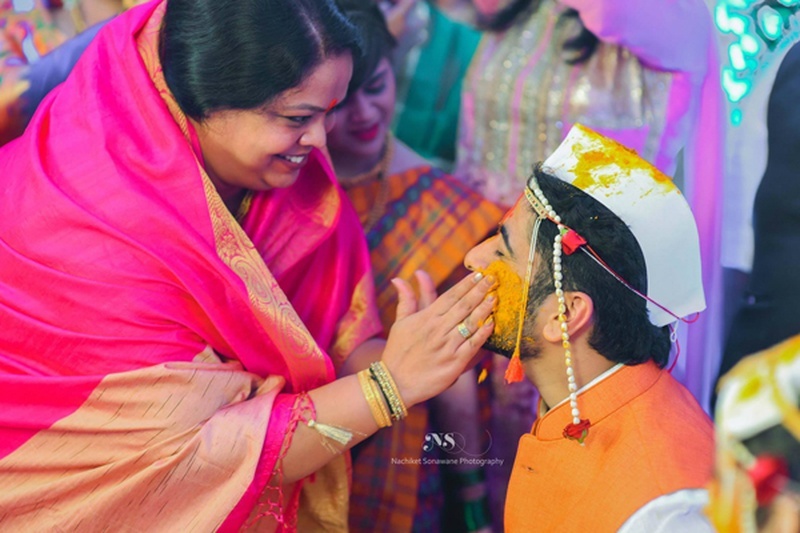 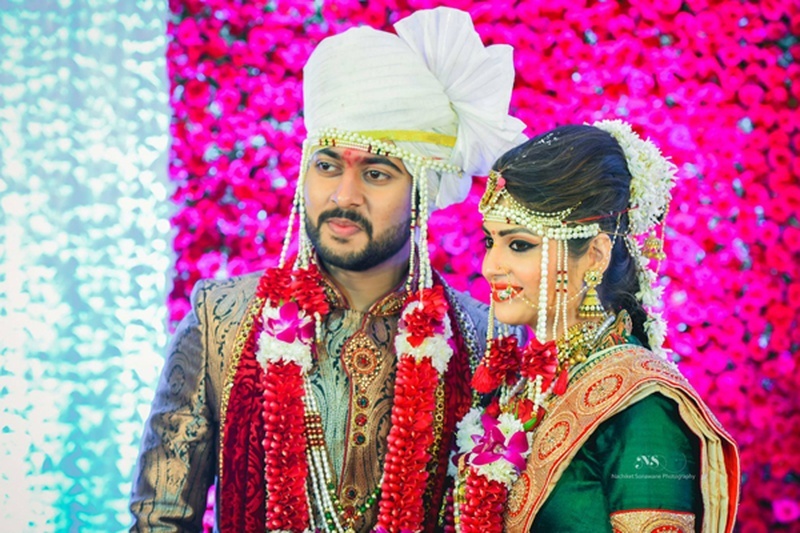 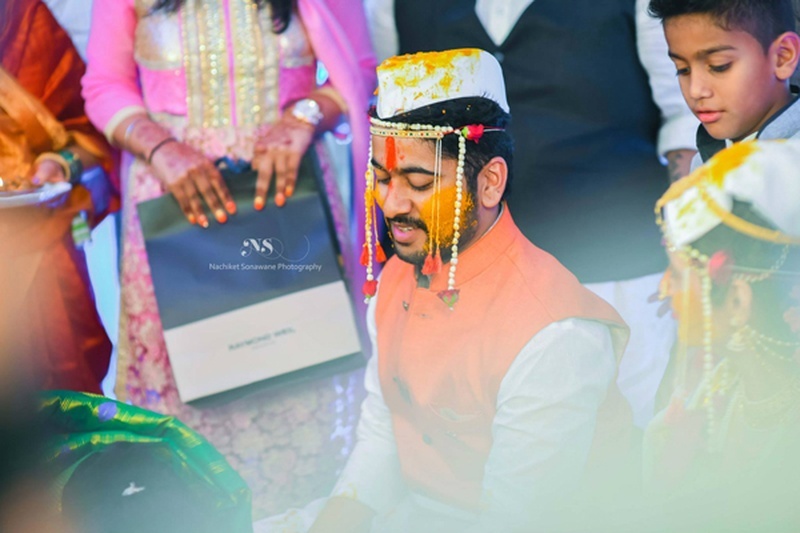 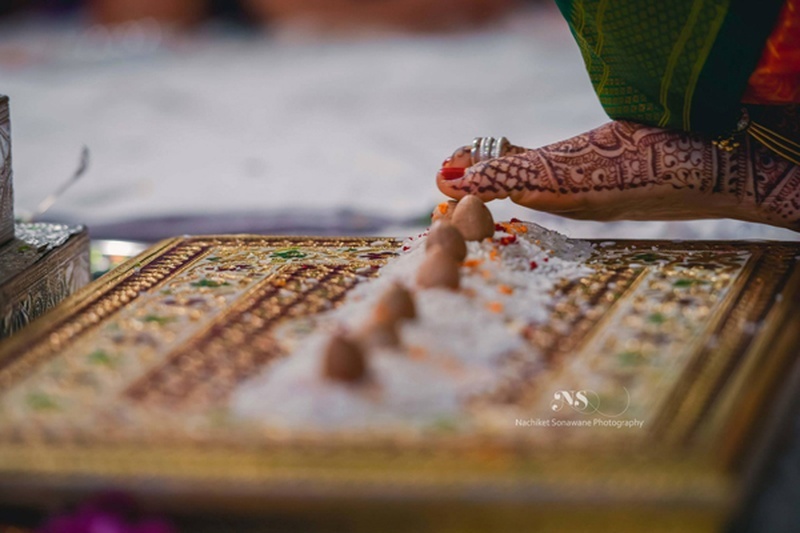 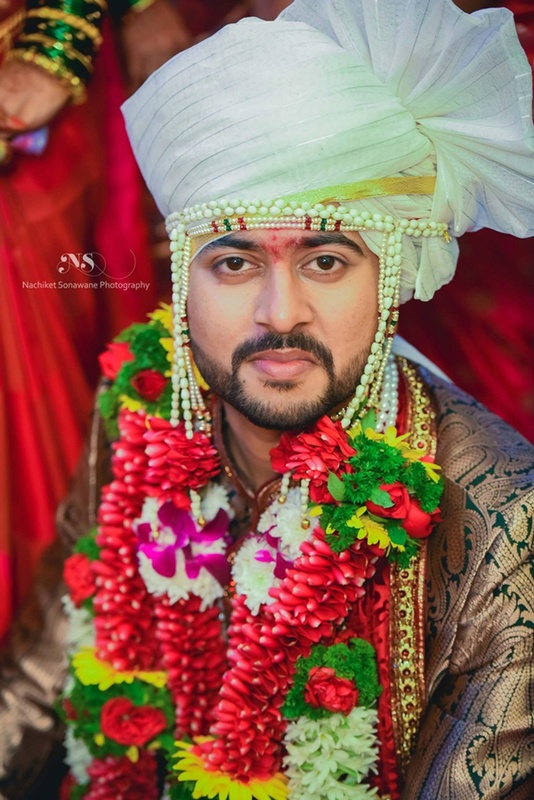 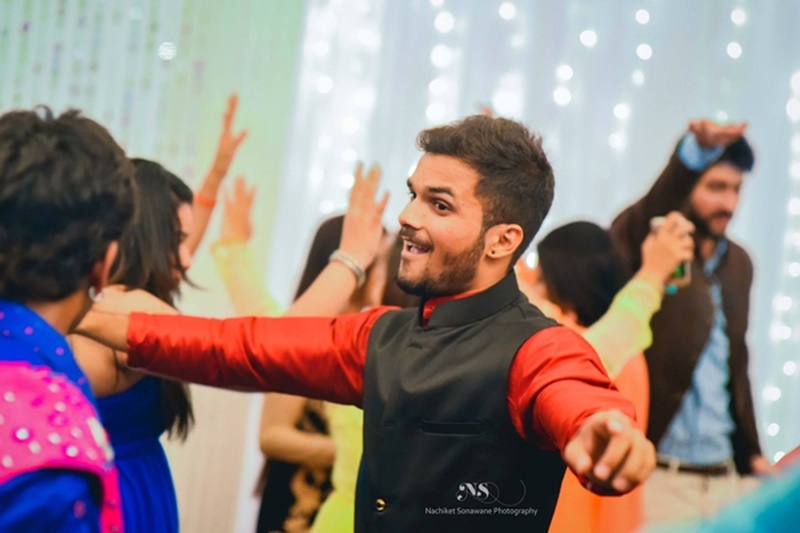 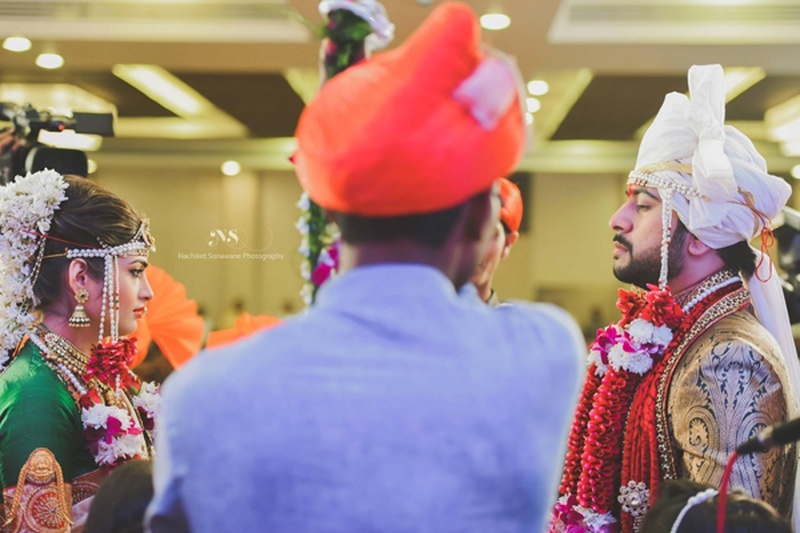 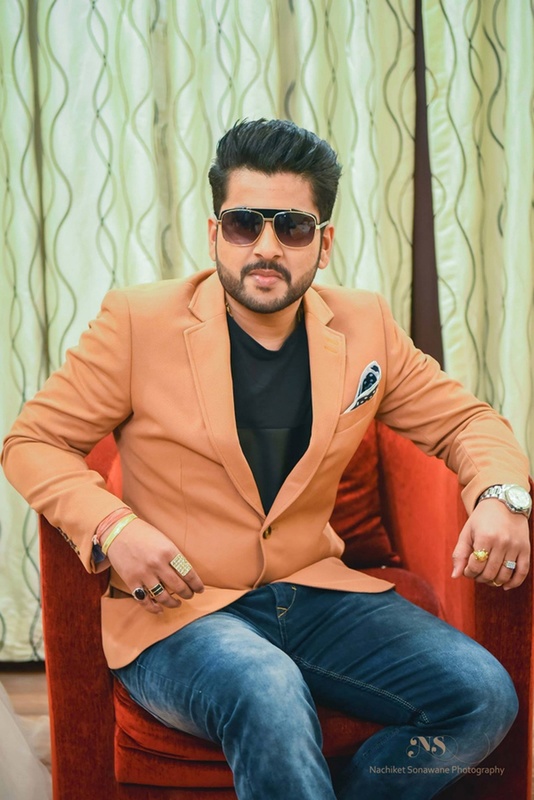 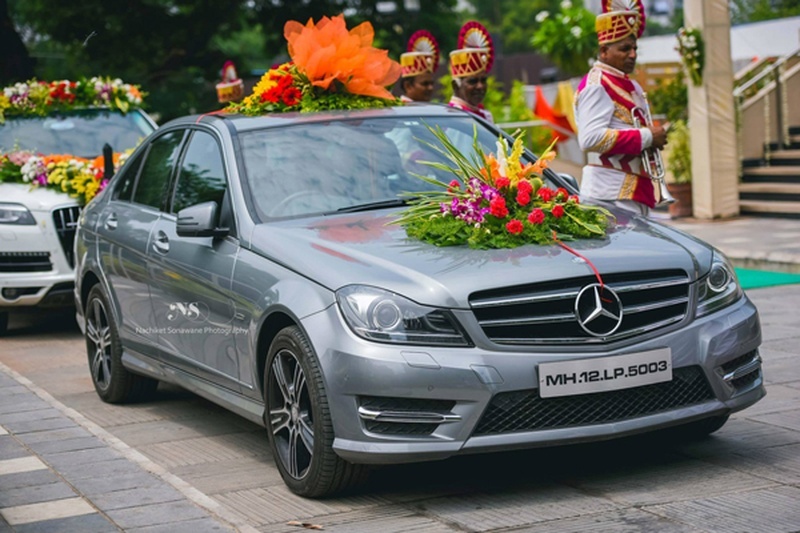 Aishwarya and Samarth's wedding ceremony was one such affair that spoke of glamour, class and style without leaving behind the meaningful customs and rituals right from the sangeet to the marriage itself. 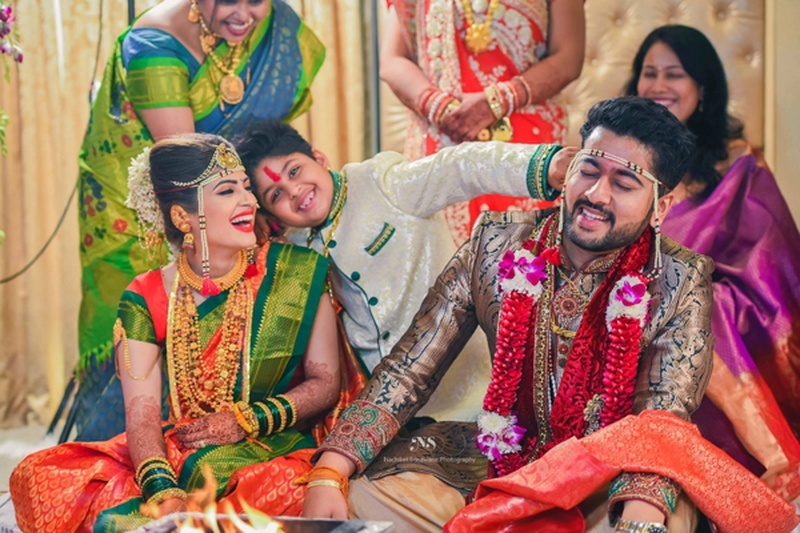 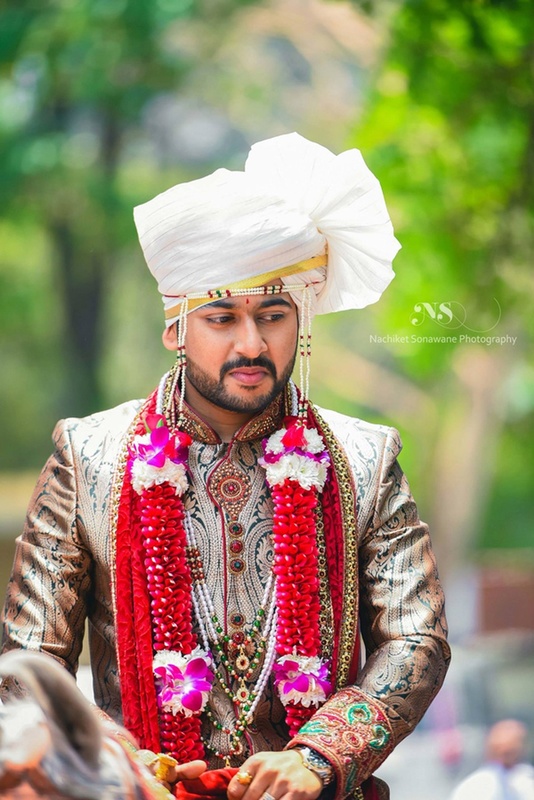 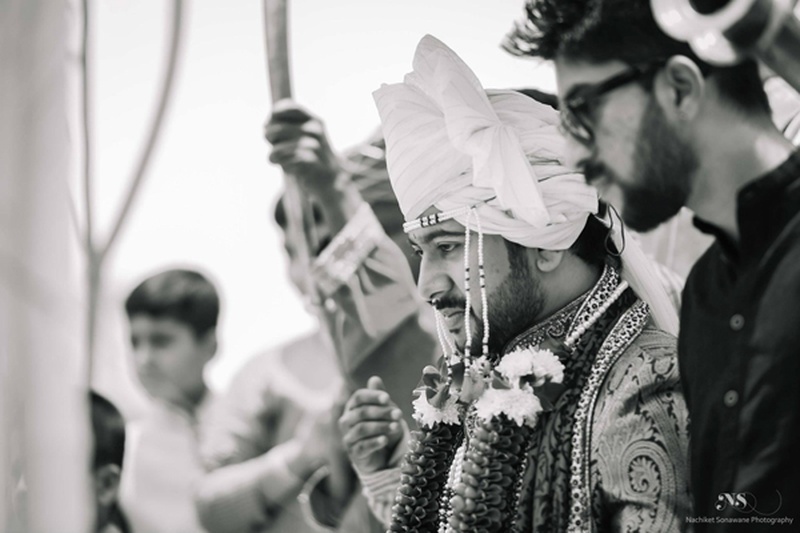 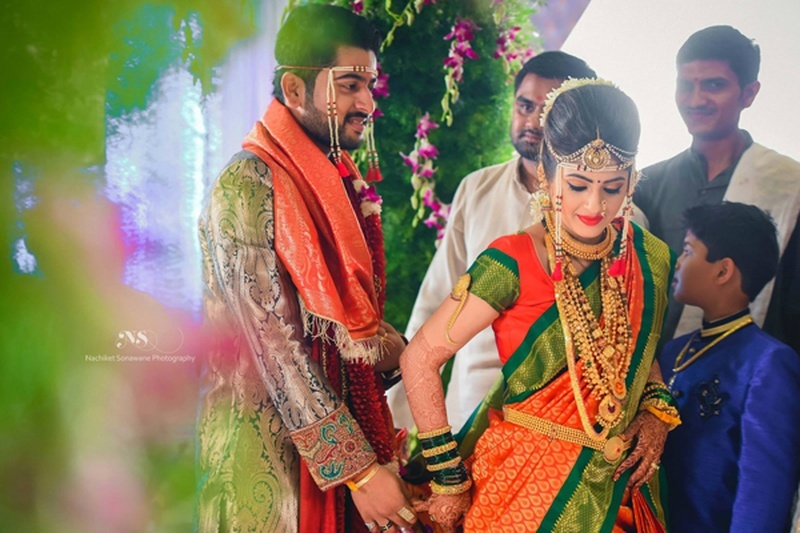 Three things that caught our eye at this grand wedding was the decor, the bride and groom's attires and Aiswarya's jewellery! 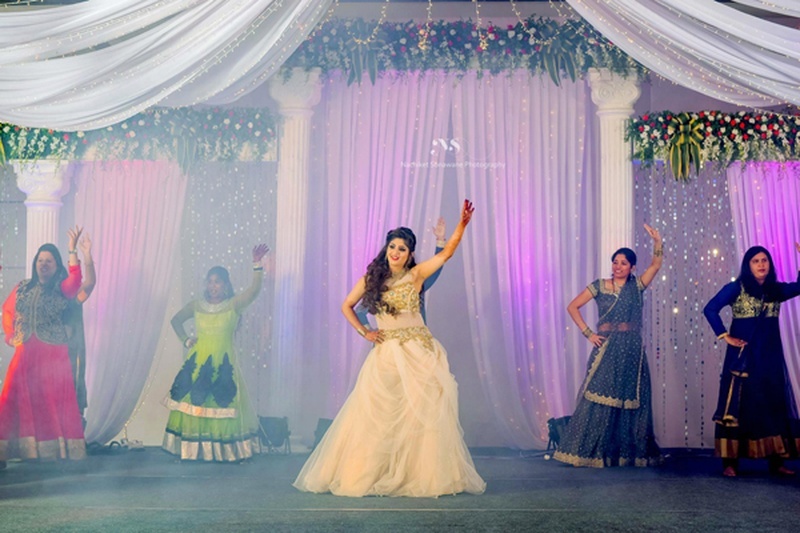 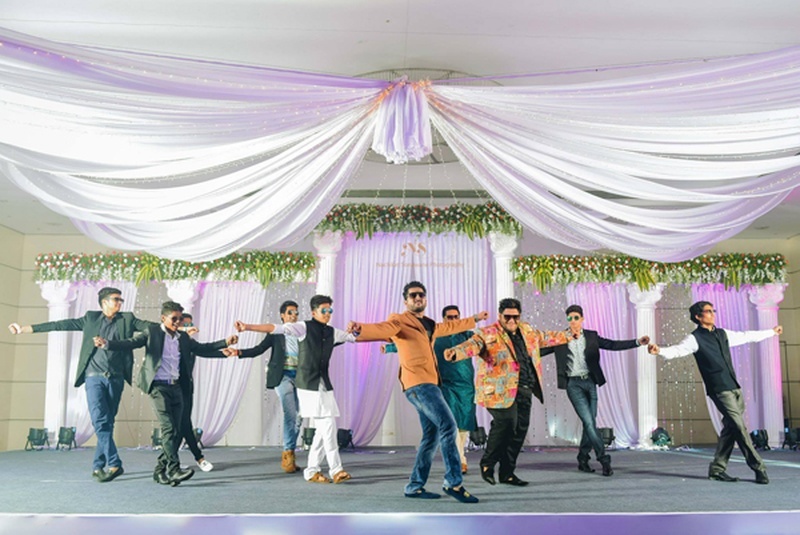 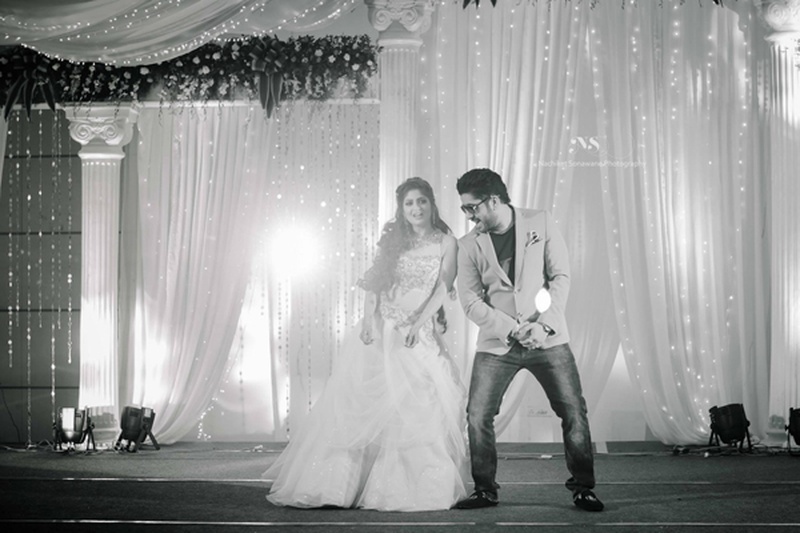 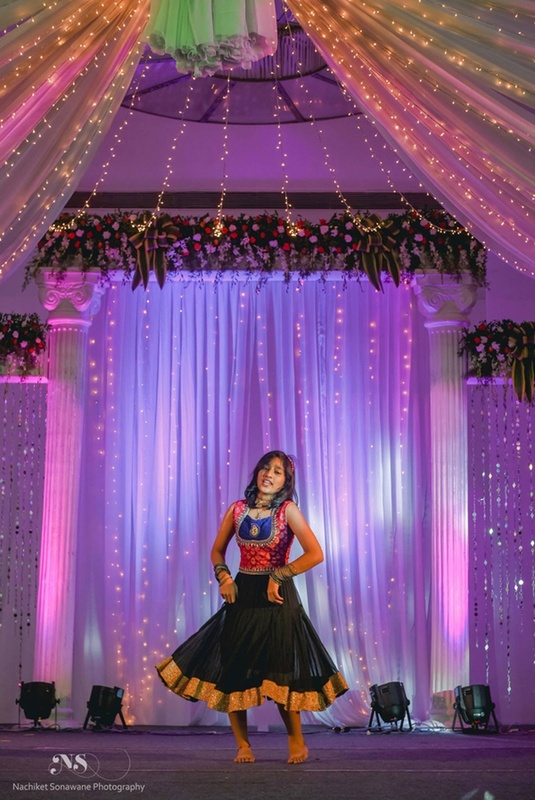 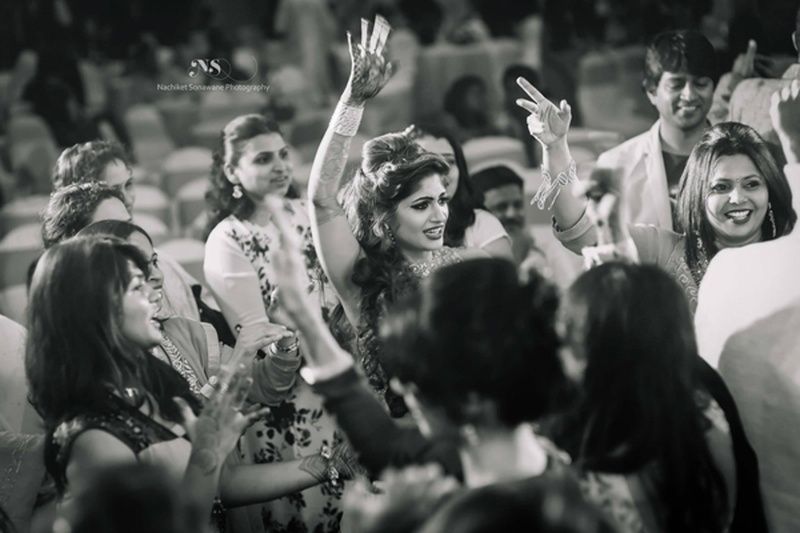 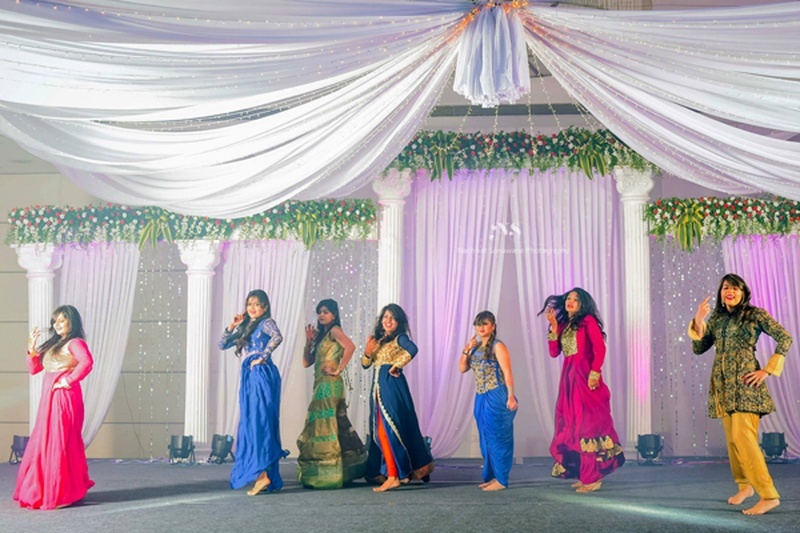 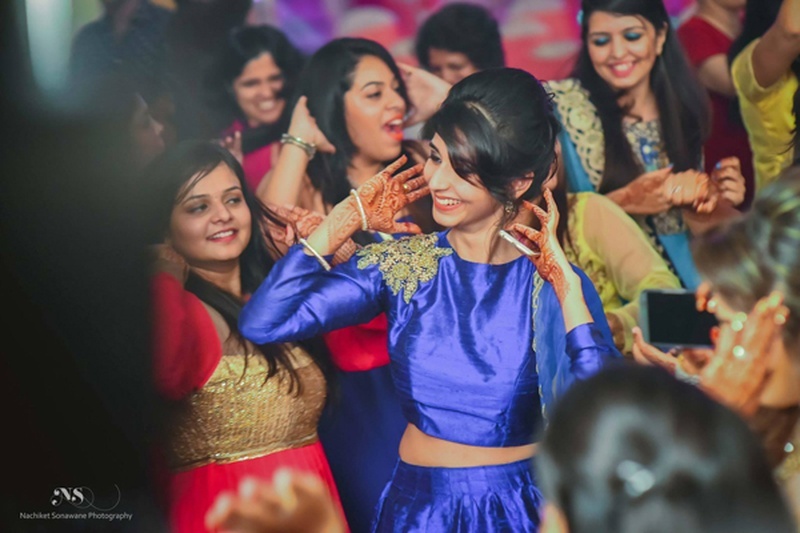 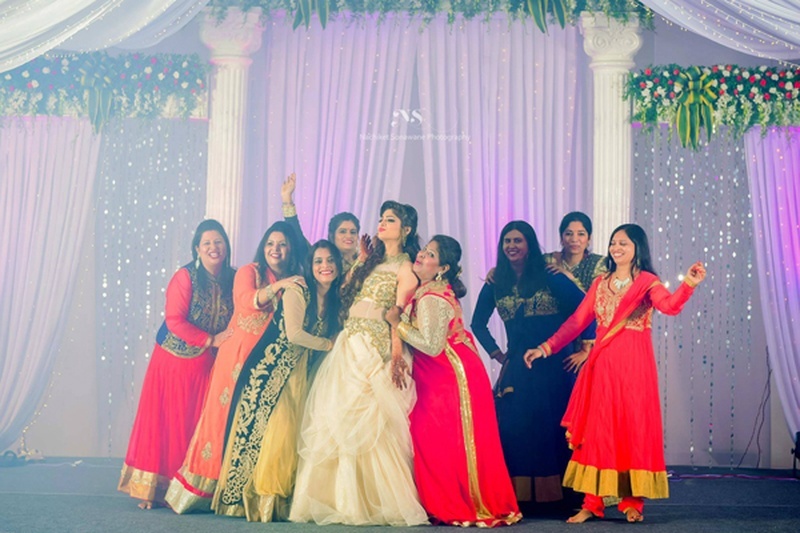 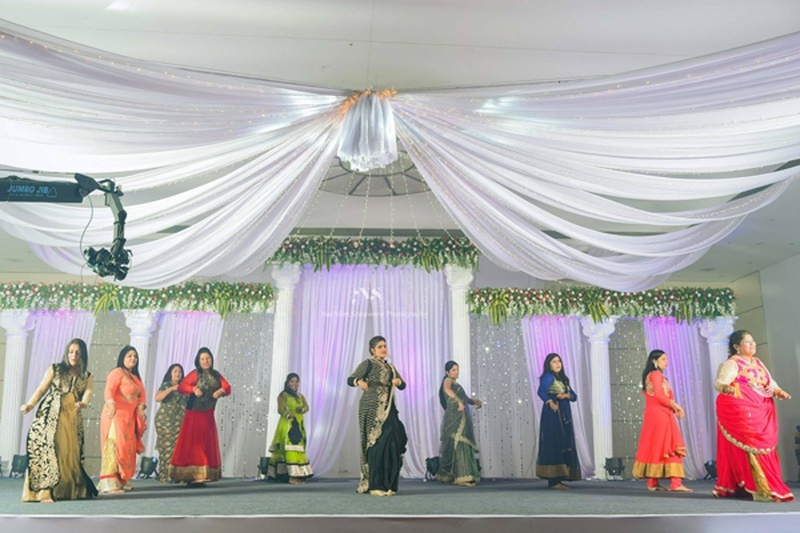 Celebrations began with the super fun sangeet ceremony held in a gorgeously decorated indoor space. 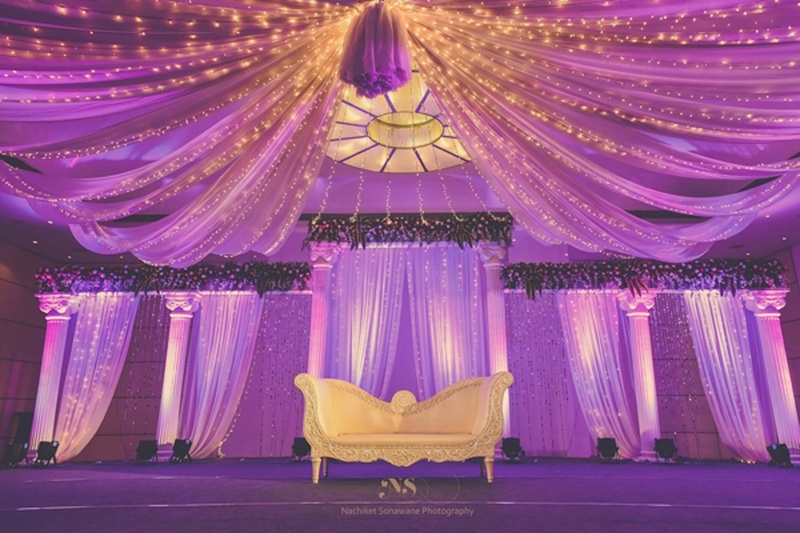 White drapes were strung across an opulent stage, lit up in hues of purple with glistening fairy lights hung delicately across. 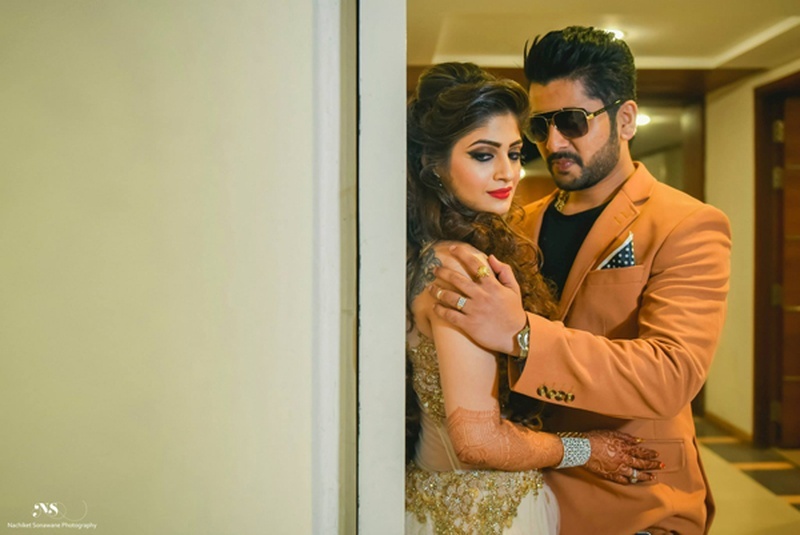 The soon-to-be-bride looked like a vision in her white and gold ballgown and heavily curled locks while her handsome partner rocked a Tan blazer with blue jeans better than most Bollywood actors we see nowadays. 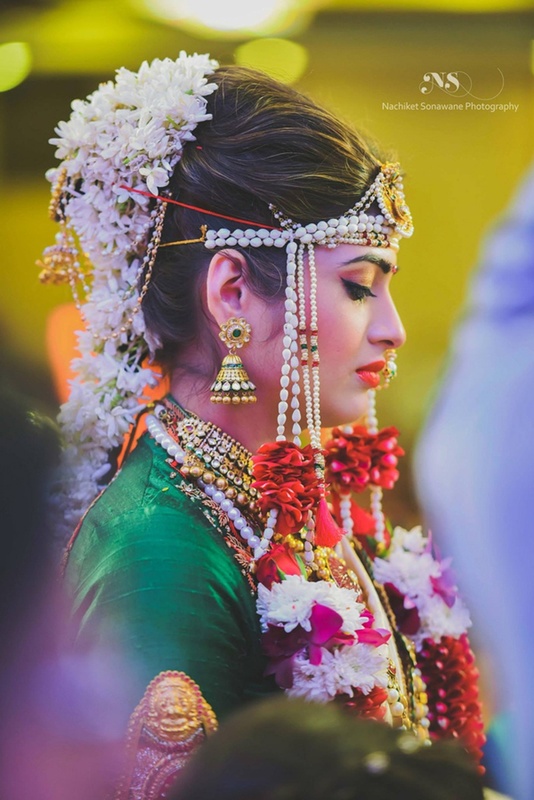 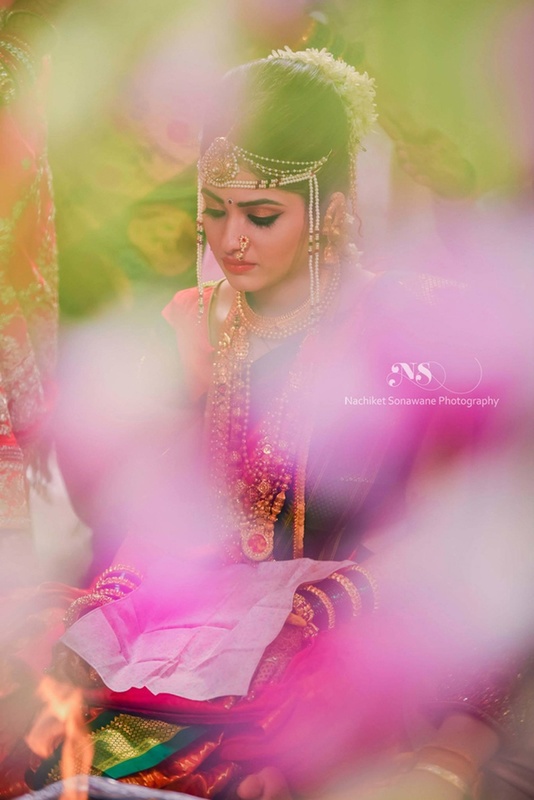 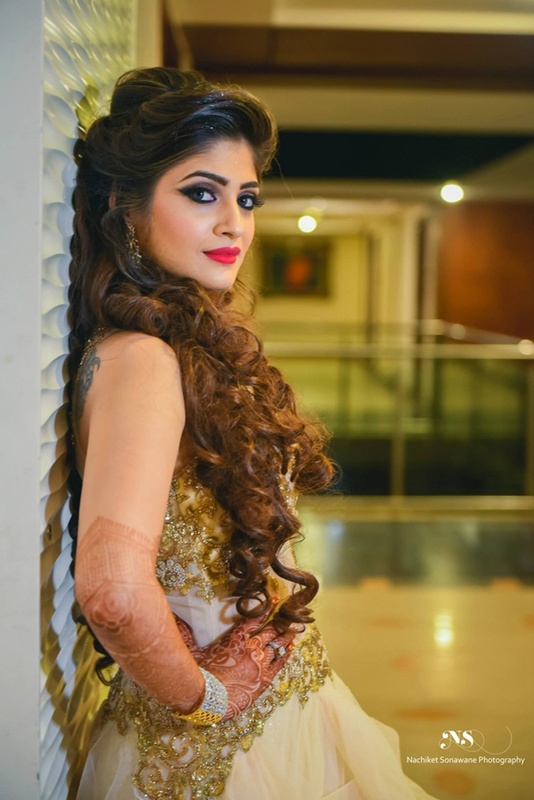 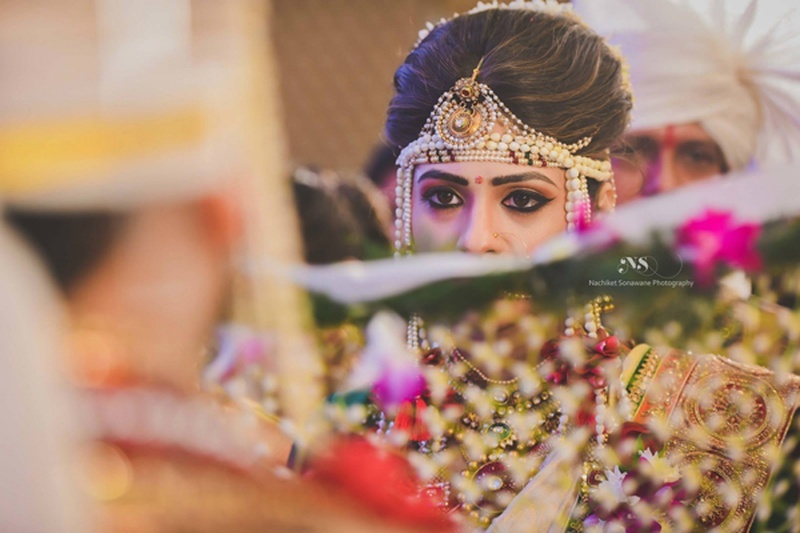 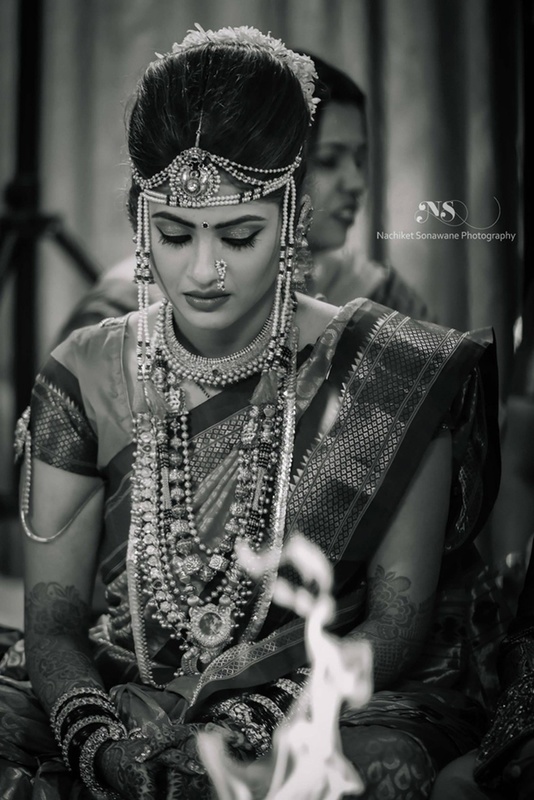 While most Maharashtrian brides are known to keep accessories minimal and elegant, Aishwarya paved a new way for brides who want to add a little extra bling to their ensembles. 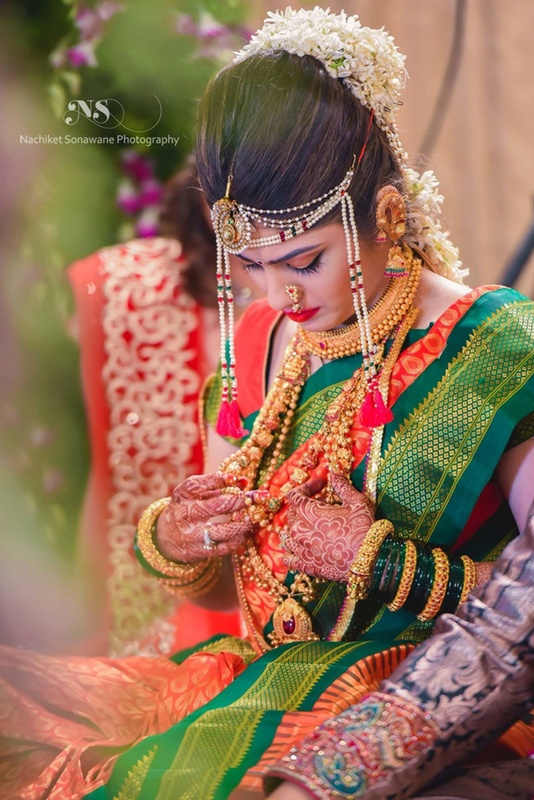 She donned exquisite multiple layers of pure gold necklaces that included a thushi necklace, gold coined haar, gold beaded necklace and green glass bangles coupled with gold heirloom kangans. 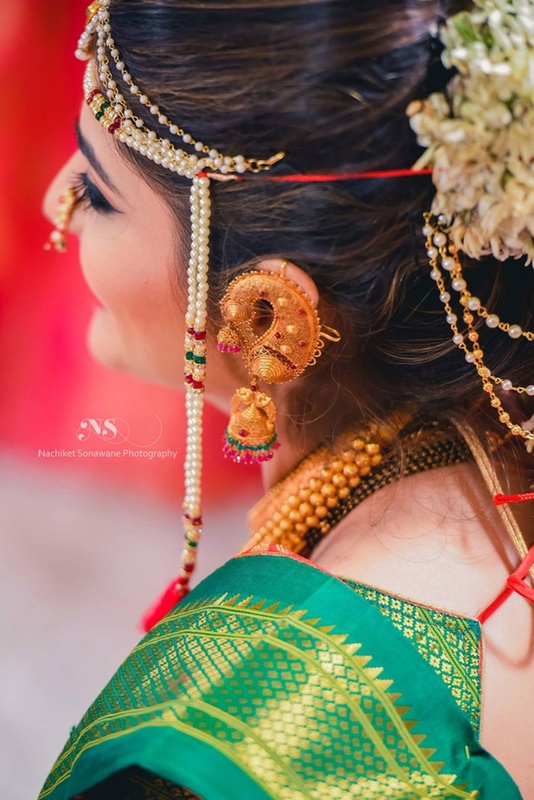 Along with these, she wore paisley earcuffs with dangling jhumkas that were a perfect blend of contemporary style and ethnicity. 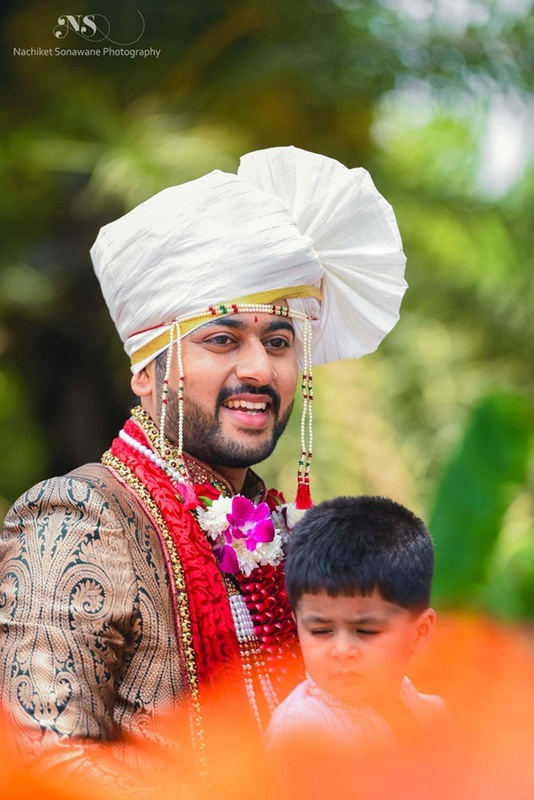 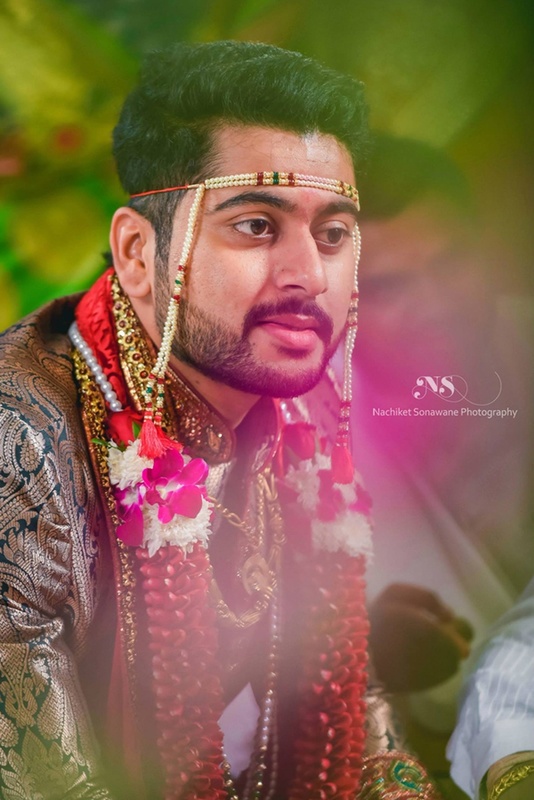 What to look out for: Samarth’s uber cool green raw silk sherwani with floral and paisley weaves and colour-coordinated button details, the CUTEST kaan-khichai ceremony, and Aishwarya’s 9-yard long beauty! 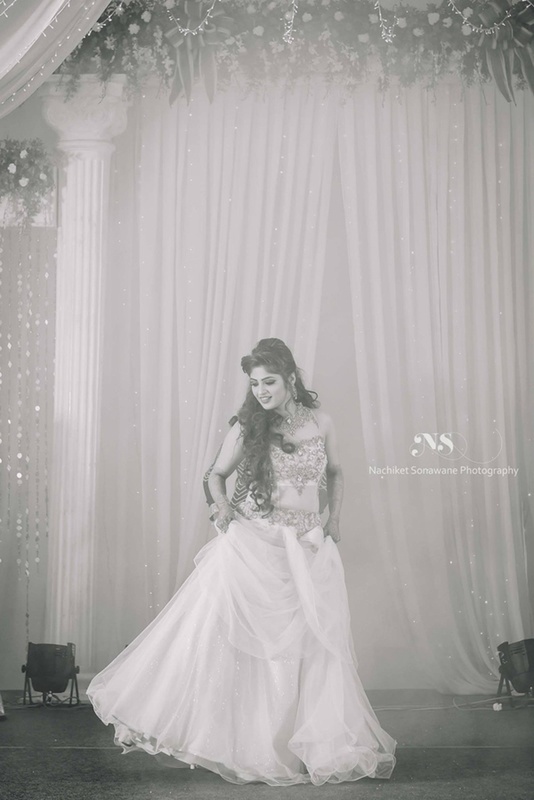 Nachiket Sonawane Photography shot this super-fun wedding celebration using brilliant photography techniques of playing with lights and shadows, capturing photos in monochrome tones along with those sweet candid moments!